A blender, I love my Breville Blend Active and since getting it for Christmas I have made countless smoothies and milkshakes. Let me know if you’d like a full review or whether you’d like to see more recipes! A cute glass, cup or bottle. I found this one in our cupboard it is from the Ben De Lisi range for Debenhams home and there are some seriously cute things in that collection! 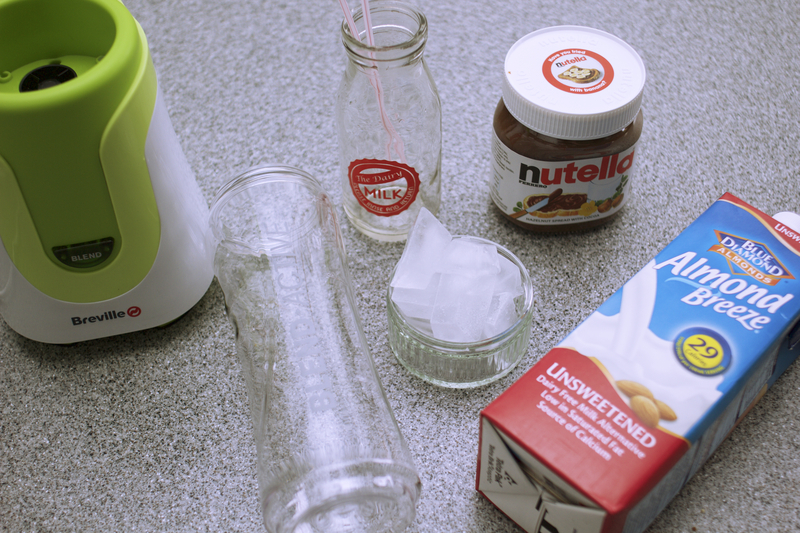 So the recipe literally couldn’t be simpler, add the ice, milk and finally the nutella into your blender and give it a good shake to mix everything up a bit. 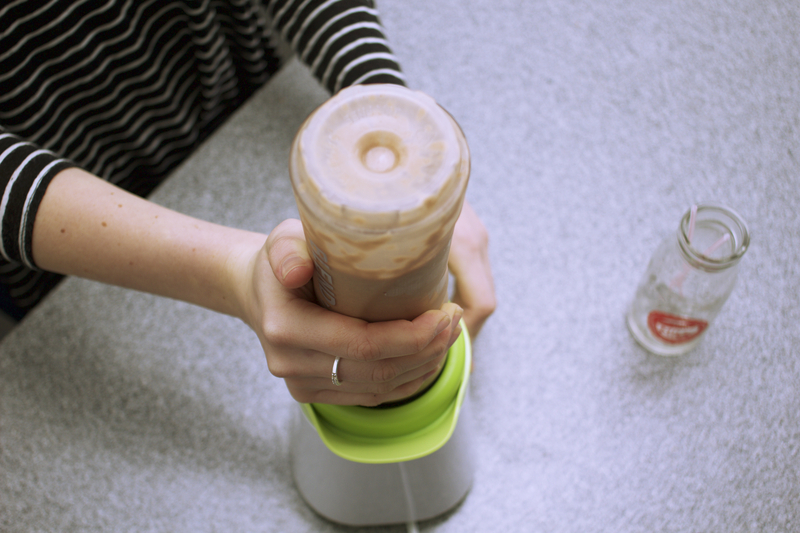 Blend until the milkshake is all one colour and there are no obviously lumps of nutella or ice. 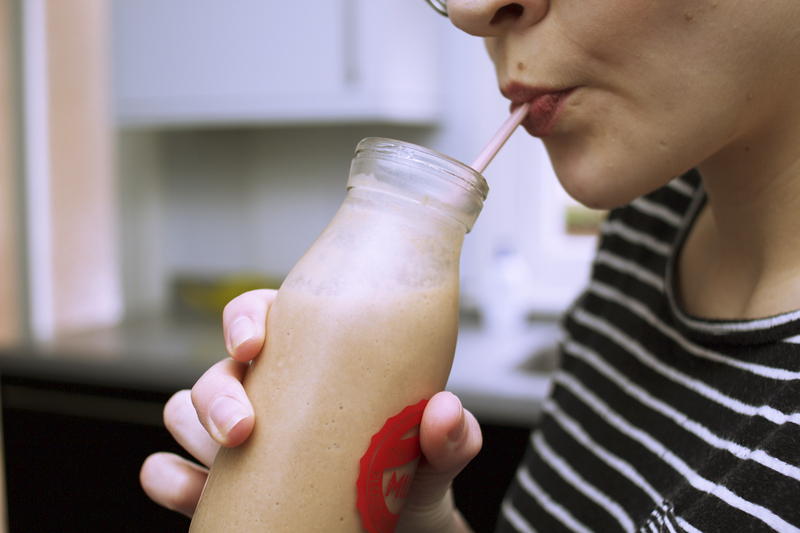 However, don’t blend it for too long as you still want it to be a little icy to give it that thick regular milkshake texture but without all the calories! This doesn’t come out quite as thick as if you used milkshake but as a slightly healthier option is has a great nutty and chocolatey flavour and you feel much less guilty stricken afterwards! My milkshake literally only lasted for five minutes before I had drunk it all, it’s so so tasty! Let me know if you try this out and tweet me some pictures! P.s Please follow me on Bloglovin’ & Twitter! It’s really tasty! The nice thing is that it’s not too sickly so you can easily drink a lot lol!.. OMG NUTELLA? I actually had to stop buying Nutella because the entire family lost control. Caught my oldest with a jar upstairs using lego to scoop it out and eat it. I am so in love with Nutella I am truly afraid to buy a jar. But it is crazy good!!!!!!! Yum!! Love, love, love Nutella!! This sounds amazing, definitely need to give it a try! 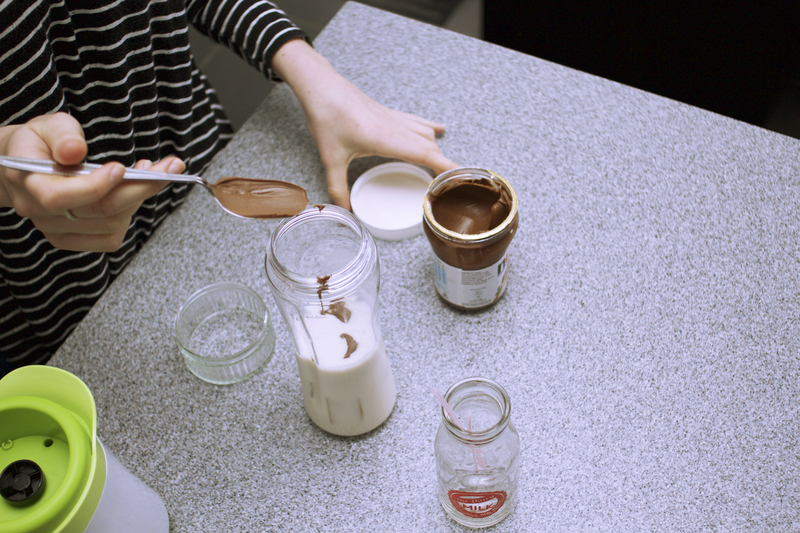 I COULD EAT nutella with a spoon …..